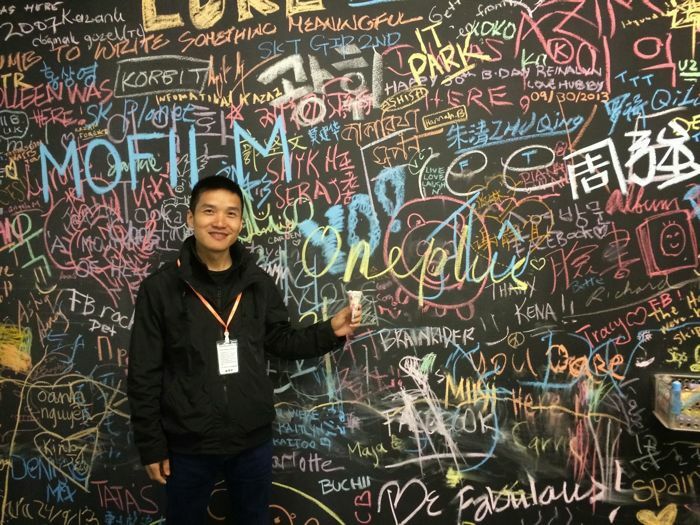 The OnePlus One will be made official on the 23rd of April, and now OnePlus founder Peter Lau has revealed some more information about this new CyanogenMod smartphone. We previously heard that the OnePlus One would come with the new quad core Snapdragon 801 processor, and now OnePlus have revealed that it will come with a 2.5GHz clock speed. The OnePlus One will be the fastest phone on the market. The OnePlus One will be unique to offer both the Qualcomm Snapdragon 801 as well as a full 3GB of RAM. I am very confident that everyone will see how impressive your phone experience can be with the One. With the amazing experience that CyanogenMod offers combined with all the great features that we’ve packed in, you can be sure that you will be able to multi-task, game, and be more productive than ever without having to settle or sacrifice. The other specifications on the OnePlus One will include a full HD 5.5 inch display with a resolution of 1920 x 1080 pixels and a 13 megapixel camera with a Sony Exmor sensor. OnePlus have also confirmed that the OnePlus One will feature 3GB of RAM, these are some impressive specifications, considering the price of the handset. The OnePlus One will retail for under 350 Euros in Europe and under $400 in the US it will come with CyanogenMod 11s, which is based on Android 4.4 Kit Kat. We are really looking forward to seeing some photos of the new OnePlus One, it certainly sounds very interesting from what we have heard so far, and it will have some impressive specifications and a competitive price.